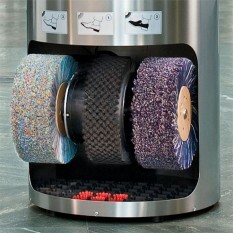 Heute Ellipse is an eye catching, extravagant Shoe Shine Machine, creating a highlight to your entry area or lobby. 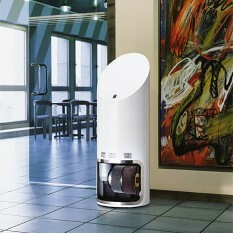 Due to the size and durability of the Ellipse, the model is brilliant to be placed against a wall or even standing freely and will make a great accessory for any stylish lobby or hotel entrance. The stainless steel casing allows for a seamless design and highlights the professional standard of finish to your footwear.